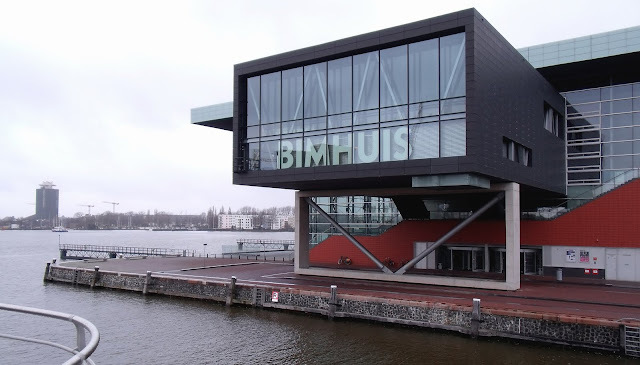 Bimhuis has always been in my must-see-list. To be honest, I found it strange and a little bit pity for myself that I had not been there since last night - although I have been in Amsterdam several times before and I started to live in Netherlands two months ago... We can all blame the incredible North Sea Jazz Festival in Rotterdam for this since it had basically been the main reason for my travels before, saturating my appetite for jazz and preventing me from asking for more during my one-day-sightseeing-visits around the Dam. Well, it seems that the Jazz God was waiting for the right time in order to make a memorial night for me. It was more than 5 years ago when I decided to start to write a jazz blog and even I am not good at designing catchy blog lay-outs, I was aware of the fact that I needed a meaningful photo that carry some memories for me within itself. My long time followers were expecting to see a snapshot from my all time favourite trio E.S.T at that time, but I chose a concert from London Jazz Festival 2011 instead. It was a concert dedicated to 50 years of Impulse! records and the legendary McCoy Tyner was on piano. 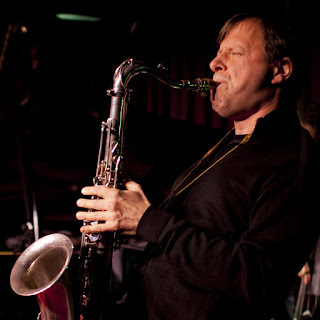 Chris Potter was the special selection of that night on the saxophone, carrying this well-deserved honor at the spacious performance hall in the amazing Barbican Center. I should confess that I had not heard a lot on him till that night but I was lucky enough to join the interview of BBC Radio 3 with him just before the concert. One thing I will never forget about that concert is the long standing-ovation for McCoy Tyner, which started right after his entrance to the stage and lasted for minutes. I think that was the time that I am impressed a lot by the enthusiasm within the idea of jazz and its not-so-many supporters both from performers and listeners side. That was the time – as far as I remember – that I decided to share what I feel about the music I love listening to. It was without any purpose and I wasn’t expecting anything in return. It was the first artistic feeling I get – a deep and priceless satisfaction with no pragmatic prejudgments. Thus, it started like that and with so many peaks and deeps I kept on writing within this blog. I feel so lucky and humble that I have been able to join so many performances and listened to so many jazz albums – all around the world. Now, while writing these lines on the last train from Amsterdam to my home in Eindhoven, I feel the same satisfaction. Once again, thanks to the great performance of Chris Potter Quartet in Bimhuis, Amsterdam last night, I feel complete and full enough to keep on sharing. It is hard to give a single reason why I am so impressed and got emotional. The elegant and modest tone of Chris Potter both from tenor and soprano sax, his great compositions in the last album from ECM, Dreamer is the Dream, the amazing Nasheet Waits on drums, the great solo performances of pianist David Virelles and bassist Joe Martin, heavenly acoustic conditions of Bimhuis right next to the Amsterdam Port and -last but not least- the unique view of wide glass background of the stage letting you see the busy Dutch trains landing on and off to the Central Station... They, all together, pushed me to write these lines which can be defined as the ones connecting the blog back to the roots that I have been feeding from for a long time. It is this connection and idea indeed what make me to keep on writing – who knows, maybe for forever. Stay connected for following posts which will be on some very good jazz albums that I have listened to lately.